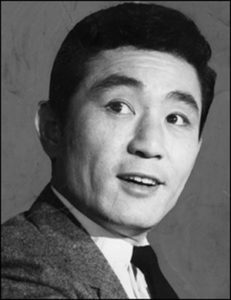 Active as an actor from 1954 to 1987, Choi Moo-ryong was a popular star in the 1960s. 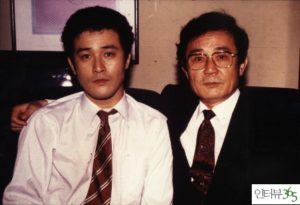 Not only having an attractive masculine appearance, Choi Moo-ryong’s acting skill is also commendable, which has been proven by the fact that throughout his career, he has received notable awards, such as Special Award in the category of Group Acting at the 1st Blue Dragon Film Awards in 1963, Best Supporting Actor at the 2nd Blue Dragon Film Awards in 1964, Best Film Actor at the 7th Baeksang Arts Awards, Favorite Actor at the 9th Blue Dragon Film Awards in 1972, Favorite Film Actor selected by readers at the 10th Baeksang Arts Awards in 1974, and Film Development Lifetime Achievement at the 36th Grand Bell Awards in 1999. Thus, in this article, Channel-Korea will explain to you all about Choi Moo-ryong, starting from his full profile, his spouse and children, and his TV shows and movies. So, stay tuned! During his life, Choi Moo-ryong has married three times. Choi Moo-ryong’s first wife was the fellow actress Kang Hyo-shil with whom he acted in The Box of Death. They married when Kang Hyo-shil was only 20 years old, according to the International age system, despite the opposition of Kang Hyo-shil’s mother, renowned actress Jeon Ok. Choi Moo-ryong and Kang Hyo-shil have five children: actor Choi Min-soo, Choi Jin-kyeong, Choi Hyun-sook, Choi Jung-woo, and Choi Ye-sook. 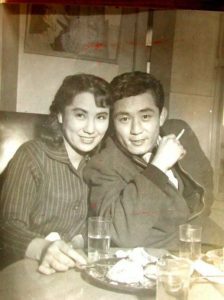 Unfortunately, Choi Moo-ryong and Kang Hyo-shil divorced in 1962 as Choi Moo-ryong committed adultery with famous actress Kim Ji-mee, who he later married and had one daughter named Choi Young-sook with. 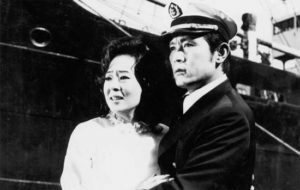 Alas, Choi Moo-ryong and Kim Ji-mee’s marriage also ended in divorce due to the bankrupt status of Choi Moo-ryong for the failure of the production of his films. Lastly, his third wife is named Cha Geum-ja who accompanied him until his death which was caused by Myocardial infarction on 11 November 1999. Did Kim Ji-won Undergo Plastic Surgery? Let’s Compare Possible Before and After Pictures!